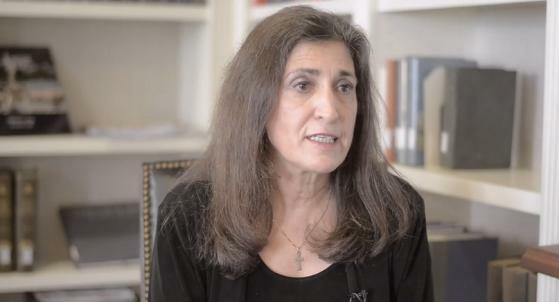 Michelle Cretella of American College of Pediatricians and American Family Association, both hate groups, are desperate to mislead parents regarding gender diversity. A nationally-known pediatrician says wrong assumptions are being made about a new study that says transgender teens attempt suicide more frequently than teens in general. Kellogg is referring to Michelle Cretella, executive director of ACPeds. If Cretella is “nationally-known” it is as a religious crank. She has never published any research to a respected academic journal. Furthermore, Cretella has not been licensed to practice medicine in a number of years and is no longer board certified as a pediatrician. Unlicensed, she has been relieved of continuing education obligations. Dr. Michelle Cretella, executive director of the American College of Pediatricians, says the "Transgender Adolescent Suicide Behavior" study can incorrectly pressure parents to put their children through radical transition-affirming therapies, when there is no proof that will prevent suicides. She says other factors must be considered. Suicide prevention efforts can be enhanced by attending to variability within transgender populations, particularly the heightened risk for female to male and nonbinary transgender adolescents. Furthermore, in a study of 55 transgender people in the Netherlands who were given puberty blockers during adolescence, none desisted. They were all administered hormones around age 16 and had gender-affirming surgery later on. Psychological functioning improved steadily over the treatment period, and by the end, metrics of happiness and quality of life were on a par with those of the general population. "What I contend is that there are underlying issues that the children are dealing with that leads to depression, anxiety, suicidal thoughts, and their gender dysphoria," she tells OneNewsNow. So all of the research that informed the position of the American Academy of Pediatrics is invalid? Cretella claims that there is no proof that affirmative care reduces suicide when there is proof. Then she offers a crackpot pseudoscientific theory for which there is no proof whatsoever. The only reason that she espouses this babble is to attempt to conform medical science to the teachings of the Catholic Church. It is not the result of research or even clinical observations. Hence, people at the Vatican, with no medical training whatsoever, have formed Dr. Cretella's medical “judgment.” It is obscene. She says researchers mistakenly rule out the possibility that transitioning from one gender to the other might play a role in aggravating stress and provoking one to suicide. 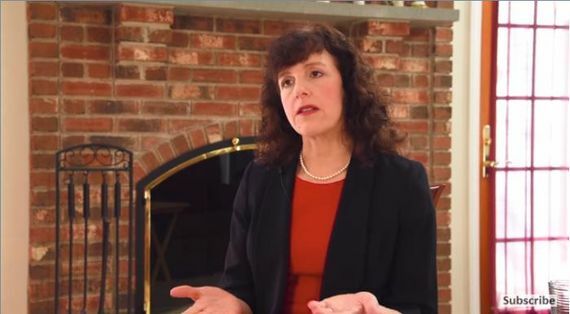 "So parents get the message: 'Look, if you don't affirm your child's fantasy or your child's misperception, you are abusive parents because you're setting them up for suicide,'" Dr. Cretella submits. "And that is not what the science shows." Incongruent gender is neither a fantasy nor misperception. It is very real. The research clearly and unambiguously supports transition affirmation as the best means of preventing suicide. She asserts that rigorous, non-agenda-driven, long-term research still needs to be done. Who is she trying to fool? Cretella calls all of the research that does not conform to her opinions, based on the teachings of the Catholic Church, “agenda-driven.” (who has the agenda?) Dr. Olson's TransYouth project is intended to run for 20 years and many other studies are in progress. Cretella is proved wrong over and over again with each new study. She is like Trump. The more she is wrong, the more determined she becomes to claim that she has the correct answers. Parents with gender diverse children should simply eliminate the middle person and take their kid to a priest because that would have the same outcome as Cretella's errant advice.